NYC to Kingston, Jamaica on a first class flight. 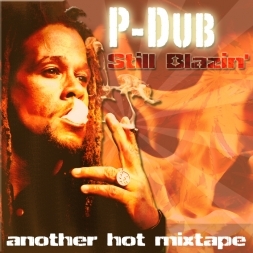 P-Dub is still blazin. More heat, more fire from this prolific artist who's songwriter/features credits include: Sean Kingston's Time is Money label, Collie Buddz, Dipset/The Diplomats, Akon, Twista, Trina, French Montana, Jadakiss, Buju Banton, Britney Spears, Pharoahoe Monch, Three 6 Mafia, Wayne Wonder, Maxi Priest, Gyptian, JR Writer, .40 Cal, Billy Blue, Lazee (Warner Bros. Europe) and more.